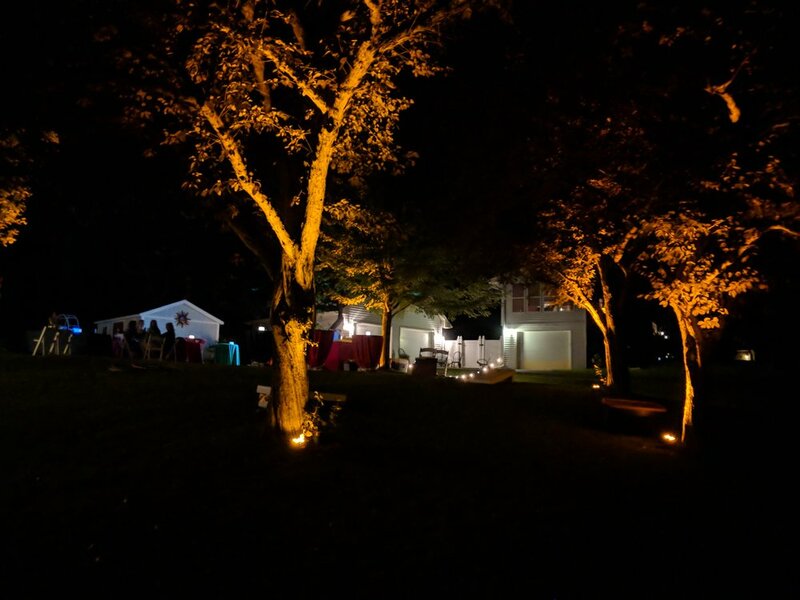 AV for You set up audio, lighting and staging rental equipment for an outdoor backyard party in Bloomington, MN. For audio rental equipment we set up two of our new QSC K10.2 Powered Speakers on top of our QSC K Subwoofers. We also used an additional three QSC K10.2 Powered Speakers as stage monitors. We used our Shure Drum Microphone Kit, Sennheiser e906, Shure SM57s and Shure SM58s to mic the instruments and vocalists in the band. We used our Behringer X32 Mixer for advanced control over EQ, Dynamic Processing and Effects. For lighting rental equipment we attached four ECHOCube Battery Powered Uplights to our two Global Truss ST-132 Crank Stands for a stage wash. We used another four lights attached to a crank stand for some yard lighting and used an additional 6 lights to provide amber light to the trees in the yard. For stage rental equipment we constructed a 20’ x 16’ two tiered stage using twenty of our 4’ x 4’ stage decks. The front tier of the stage was set at a 16” height and the back tier of the stage was set at 24” height. We used stage skirting around the stage as well for a clean look.